"Immediately surrounding your physical body is space utterly sacred to you, unique to you, and, to some extent, within your conscious control. It is your energy field, an element of the Power of Place." Many teachers have different perspectives about what the energy body or "aura" does. 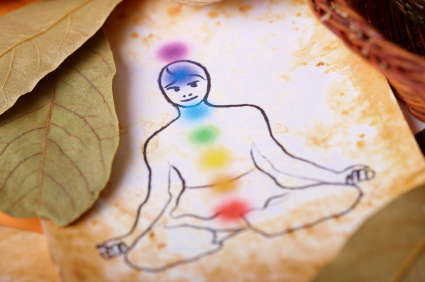 At The School of Healing Arts, we teach that the auric body is electric, colorful, full of information and experiences. It can be studied and manipulated to relieve physical conditions, emotional angst, and spiritual blocks. We begin the process of perceiving magnetic energy fields as part of the energy technique instruction. We become aware of our psychological defense systems, which is the first step toward change and healing. Classes incorporate teaching, experiential work and meditation. This class typically meets monthly for 3-hour sessions. Homework, and monthly individual counseling sessions by an approved therapist from the School of Healing Arts are also required. Please review the Tuition & Attendance Page for details about these costs. If you are interested in applying for this program, please see our Admissions Page for details. CALENDAR TIP: If the calendar is blank, click "look for more" to see future months. If dates are still not populated, exact schedules might not have been announced yet. Please check back later! Our goal is to become more aware of our psychological defenses so we can make a conscious decision as to whether or not we want to fall into old defensive habits. The energetic healing responses to our defenses are a primary emphasis of this year. We continue the practice of energetic technique along with didactic exercises, lecture and meditation. This class typically meets monthly for 3-hour sessions. Homework and monthly individual counseling sessions by an approved therapist from the School of Healing Arts is also required. Please review the Tuition & Attendance Page for details about these costs. If you are interested in applying for this program, please see our Admissions Page for details. Students internalize the dynamic interaction of biological, psychological, spiritual, cultural, economic and familial factors as a path to health. The natural healing potential of the body and spirit is actualized with this comprehensive three year study.